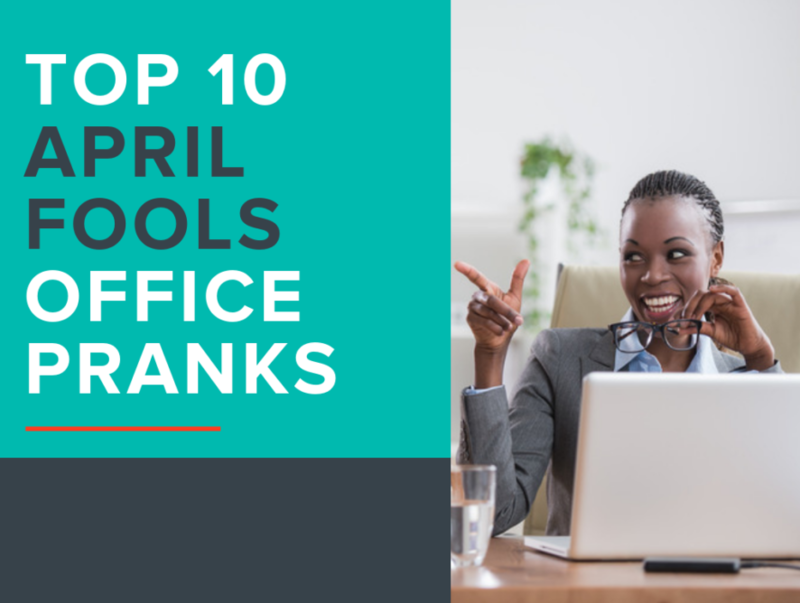 April Fools is quickly approaching, and rather than report on industry shifts today, we’re making sure you’re prepared for the ultimate day of pranks that are guaranteed to get some laughs from your colleagues. In fact, they can be used year-round if you really feel inspired. 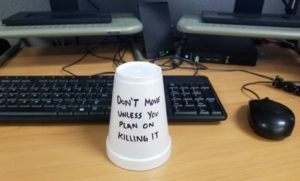 Just because you’re at work doesn’t mean fun is off limits. 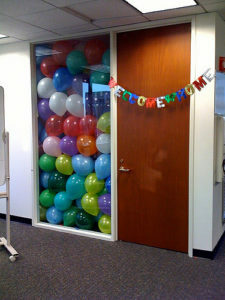 Nothing lifts the spirit of a work environment like a well-executed prank. 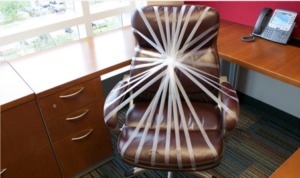 We all need a little nonsense throughout the day, so we’re bringing you ten office pranks that require little effort. Maybe you can even pull them off on your lunch break! Looks like this conference room is booked all day! This one requires a little bit of effort but will be a crowd pleaser regardless. This one could have coworkers with a serious sweet tooth in tears. 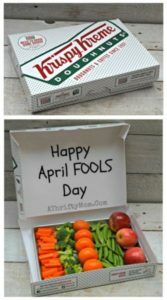 A healthy twist on a prank is never good news. When you finally figure out your coworker’s celebrity crush, let them know you care. 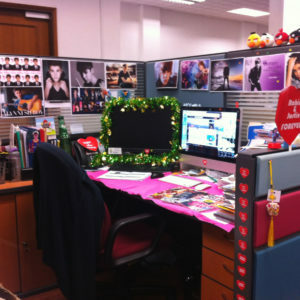 Whether it’s J Biebs or someone else, make sure the heartthrob makes a statement. 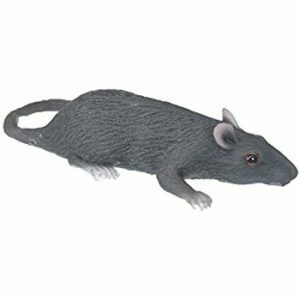 What could be better than a rubber rat? 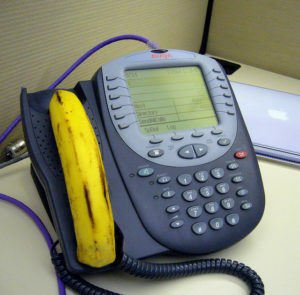 You’ll be sure to keep your office alert with a few rubber critters hanging around. 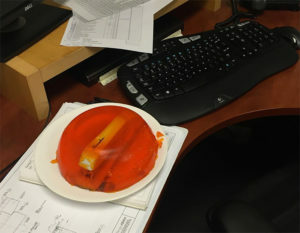 Moving away from wrapping paper and into the realm of saran wrap, keep your coworkers on their toes. Literally. Derived from the one and only “The Office”, leave your coworkers struggling with stapling. 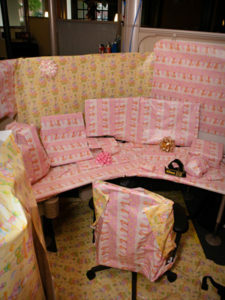 The holidays came early… prove to your coworkers what a gift they are to you. As if the rubber rat wasn’t enough, set a trap and see who trusts it. Jim Halpert does it best. Get into character by getting into the April Fools spirit!